Over 450,000 registered participants spread across 15,000 affiliates in 162 countries. 62 brave souls of Central Ground punished themselves with five workouts in five weeks. 15 days of dedicated classes with the total foot traffic of over 750 people, either competing, judging, or cheering by the sidelines. Fear, anxiety, frustration, defeat, happiness, excitement, and jubilation all left on the workout floor. But now, the bars have been wiped clean, classes back to normal programming, and evenings much quieter than before. 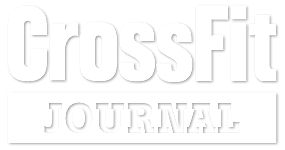 The CrossFit Open season is unique for every person, both for good or bad reasons. In the face of seemingly improbable challenges, the experience shows us that we are physically capable of doing amazing things with our bodies. But for others, it also exposes weaknesses and flaws, areas that need further improvement. And while we celebrate the memories made during the CrossFit Open, we are all given something very important afterwards: a choice to settle or embrace discomfort. This is a crossroad that we will have to face, or have done so in the past. Sure, there are fewer cheers of encouragement, no judges to count your reps, and no pressure to push forward even when it hurts. You can scale as needed, do less reps, or simply stop to wait for the clock to run out. Heck, you can even shave a few rounds or reps without anyone noticing. But I implore each of you, before you think that it’s “back to regular programming”, try to embrace the discomfort. and try the path less frequently traveled. Congratulations to everyone who joined the Open and a huge thanks for those who supported the community. Your coaches are immensely proud of what you’ve accomplished over the past 5 weeks. We will continue to share and celebrate moments of discomfort with you because this is what it means to be a #GroundGrown community. Cheers!